The Story of Prophet Muhammad is wrapped in the veils of legend, mixing reality with fiction in indistinguishable points even in our days. We invite you to know the story of someone who made history and wrote a nes page in the History of Religion. Muhammad was born in Mecca in 575 within a poor family belonging to the Quraish tribe. His upbringing was conducted by his uncle Abu Talib, since little Muhammed had become an orphan and, as his uncle had to go on business trips due to his job, Muhammad accompanied him from a very early age. Working as a servant of a rich widow named Khadija, he fell in love with her, who was much older than him, and they got married. Fatima was the daughter who was born from such union. Besides the strong affective and family bond born from that marriage, in the Story of Prophet Muhammad that marriage made him rise socially, making him a respectable trademan. The reduced Christian and Jewish communities living in Mecca, and it is believed that also his business trips, made him get in touch with both monotheistic religions. The fact that later he created a religion that served as base of a culture of worldwide distribution, was doubly praiseworthy in his case, since it is estimated that he was illiterate. At the age of forty, Muhammed eager to escape from the madding crowd, starting to retire in the desert and spend day sheltered in the cave of Hira, place in which he claims to have received the message of Allah through the archangel Gabriel, who transmitted him the true faith. His wife encouraged him and Muhammad started to preach in the streets of his city, trying to be successor of the earlier prophets: Abraham, Moses and Jesus. What Muhammad wanted at the beginning was to make his people return to Abraham’s religion. The first followers of Muhammad were poor people, which had a price which was the enmity he gained from part of the rich. Once he had obtained a great number of followers, the authorities started to regard the prophet as a threat against the established order, reason why his followers and he himself started to be persecuted. After his uncle and wife had died, Muhammad decided to escape to Medina in the year 622. 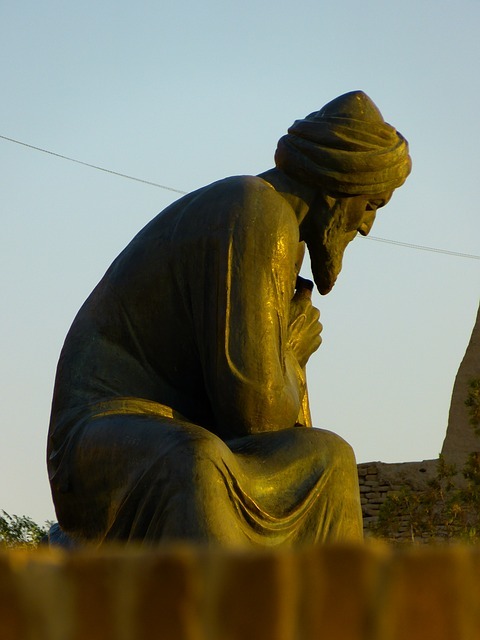 In Medina, Muhammed mixed with the Jewish community, but he is also rejected since they believed he was making a wrong interpretation of the scriptures. It was then that the prophet understood that his preaches would never lead to the return of Abraham’s religion, since the latter’s people neither saw him nor felt it like that. It was like that that Muhammad realized that the teachings he had received in the cave of Hira formed a new form of faith. That was how the Islam became a new religion. They were not few the obstacles Muhammad had to go through, among which it is having had to become a leader in the desert. Finally, the prophet dies in Medina in 632, not without having witnessed how Islam spread throughout Arabia.